Joseph Stella (1877–1946) was born in an Italian mountain village. At eighteen he immigrated to New York City, where he encountered the technology, industry, and vibrant mass of humanity that comprised “modern” urban life. During a trip to Europe in 1909, Stella was exposed to Fauvism, Cubism, and Futurism, and brought back to America a fascination with the Futurist movement. 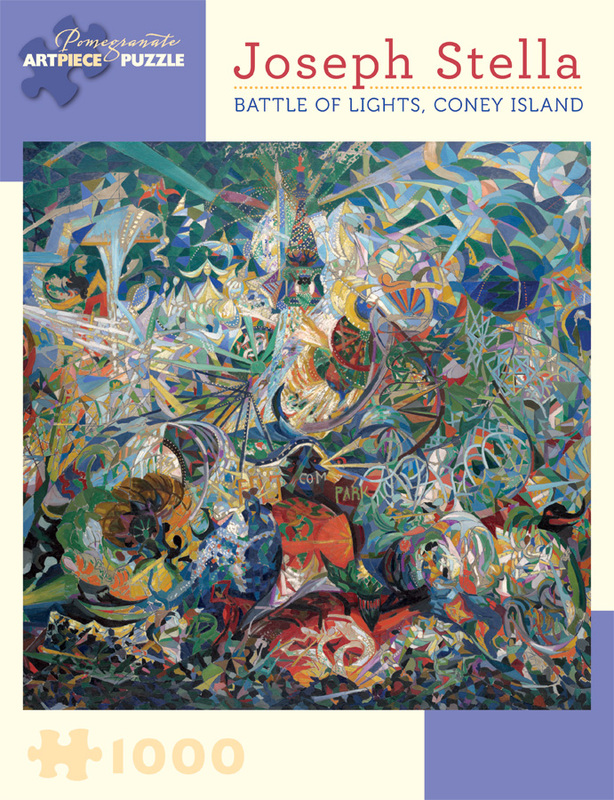 He began to experiment with the bold abstractions of color, sweeping lines, and kinetic energy that would characterize his modernist painting style. 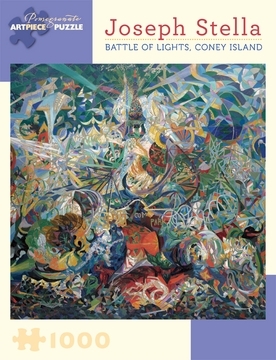 His monumental oil painting Battle of Lights, Coney Island, Mardi Gras depicts what he called the “carnal frenzy” of Coney Island’s amusement park, and is often lauded as the first American Futurist painting.